Bernadette is a reclusive ex very famous architect who lives in Seattle as part of an uber couple with her high powered Microsoft husband and their teen aged daughter. 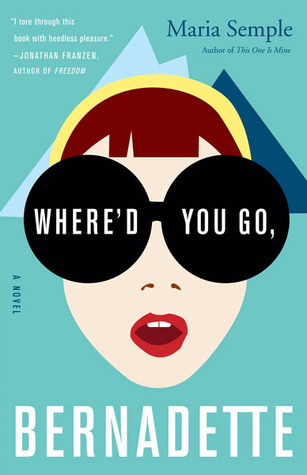 Bernadette goes missing after a great series of events involving her past history and her present craziness. I have avoided this book as I thought it was trashy chick lit… but I loved it and read it straight through all last Sunday. It would be a great beach book. Chick lit I suppose… but a great, fun, satirical story told in an original way. Highly recommend.